I am home and I might be kicking and screaming all day today. Monday's are hard but the Monday after vacation must just be the worst ever! Luckily for me its a short week and Easter is right around the corner. Who doesn't love a short week? We came home to green grass and blooming trees and a pair of beautiful dogwoods in full bloom in the front yard. Thank you God for such a beautiful homecoming! I am hitting the ground running this am preparing for an event on Wednesday. 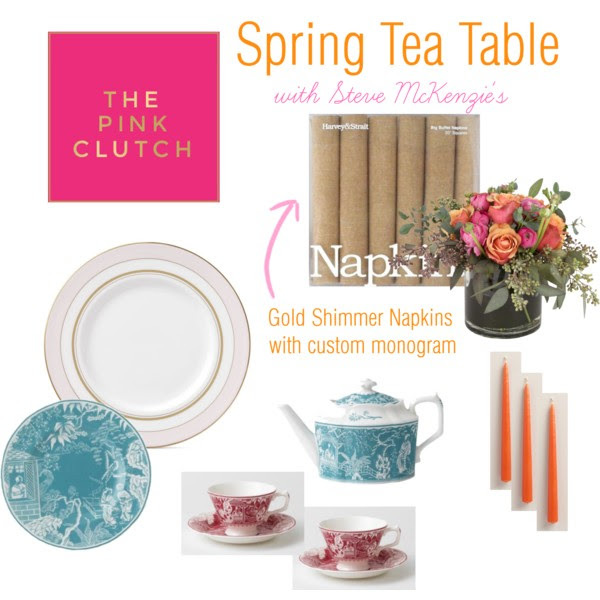 I will be attending the Spring Tea hosted by Jill & Steve McKenzie at their Atlanta shop. I am setting up a table to showcase their amazing wares and how to mix it with what you have. They have the most amazing china in the shop so it was easy to make it look even more amazing!! Design board is done, now to just gather my plates, napkins, napkin rings and flowers. Sounds easy enough, right? This is such a fun event. You can bring a piece or two from home and try them out with their new linens, serving pieces and more. I can't think of a better way to sit and enjoy a Wednesday lunch time then with friends and inspiring speakers. 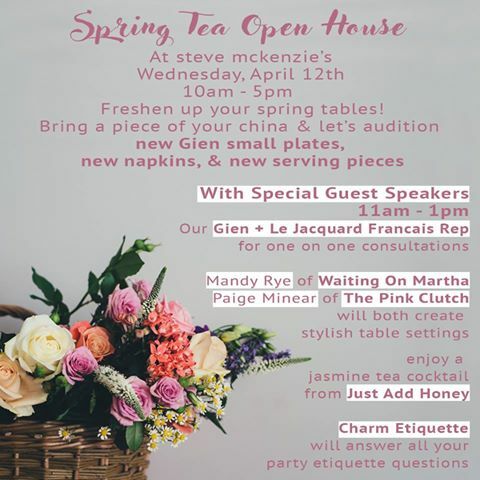 I would love to see you at Steve McKenzie's! Happy Monday, make it a fabulous one! I rarely comment, but always read. I'm super excited to see another of your ORC projects! You're the best!